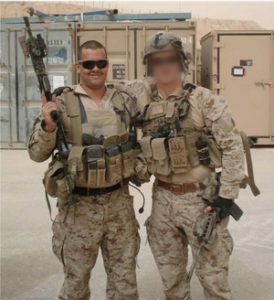 Steeled in his resolve to follow in his Helvenston’s footsteps and complete SEAL Training in honor and memory of his good friend, Chad entered the military’s most difficult and grueling training known as BUD/S. As a member of Class 254 Chad and 172 other sailors vowed that they would die before ever giving up and quitting the military’s most rigorous training. Those that would quit, were required to “ring out” which entailed ringing a large hanging brass bell three times and surrendering their class helmet on the Naval Special Warfare Center’s asphalt grinder. Exercising mental-toughness, leadership and teamwork Chad climbed the mountain and completed SEAL Training alongside 12 of the original number of 173 sailors that vowed their dedication to completing the program. 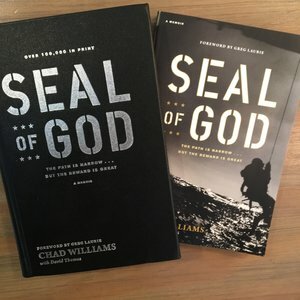 Serving his country proudly through multiple deployments as a U.S. Navy SEAL, on SEAL Teams One and Seven Chad continued to hone the qualities and values that our nation’s best adhere to. 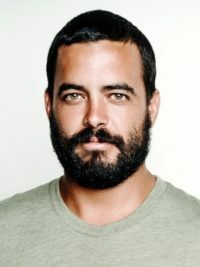 In an ironic final operation in Iraq, Chad’s SEAL Team was set up on a premeditated ambush similar to the location and scenario that took the life of his mentor Scott Helvenston but on that occasion Chad and his Team were able to overcome the enemy and complete the mission.